This series is here to give you the power to catch more fish and enjoy your time on the water. IS THIS SERIES FOR YOU? Designed by anglers for anglers who want to catch more fish! Why was this series created? Fish can be difficult to catch… especially freshwater fish. In saying this with the correct approach this ‘game of luck’ can become a ‘game of success’. I want you to enjoy fishing and succeed in your trips on the water… I want you to have the skill, rather than just a guessing game. Information and knowledge = power, and that goes for everything in life, not just fishing. So, the more you know, the more fish you’ll catch…. That being said… I want to share the story behind the Complete Guide Series. As a young bloke I grew up spending so many hours researching everything about freshwater fishing and all I can say is it was tough! There weren’t many people sharing knowledge but I was lucky enough to run into a mentor who knew so much about casting lures for Murray Cod along the Murrumbidgee River… the information he shared was PRICELESS! Instantly we started catching fish… on every trip. The knowledge he shared I couldn’t have learnt in a lifetime. When it came to other styles of fishing, I had to spend hours working them out, trial and error and collecting information. 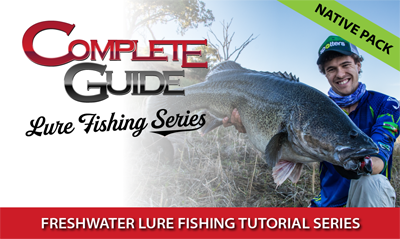 After learning as much as I have about freshwater fishing and remembering how hard it was to find quality information, I decided to share it all… and that was the birth of the Complete Guide Series. This series is like going with a fishing guide, but it works in almost every waterway and is available all the time to watch whenever you want. Nothing should be a secret… I want to share everything and help you enjoy fishing as much as I have. I want my kids to grow up being able to catch a fish on a lure and I want you to do the same for your family and friends. Everyone deserves to experience the thrill of catching a fish and by sharing our wealth of knowledge throughout this series I hope this can be achieved! Do you want to become a better angler? Then this series was created for you! 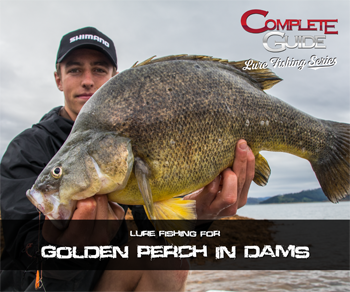 Its not like TV Shows with heaps of fishing action... this series is all about helping you understand what to do so you can get out on the water and enjoy the fishing action! With tested and proven techniques used by the Social Fishing Team! What's included in the Complete Guide Series? Step by step videos that teach you how to catch freshwater fish. 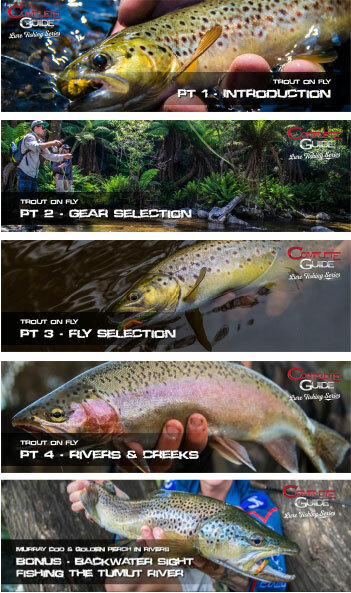 Starting at the gear and lures, all the way up to areas to target, casting and trolling techniques, how to pick the best structure, how to find feeding fish, retrieve patterns and styles and much much more! These videos are packed with information that isn’t available anywhere else but best of all they still have plenty of action! 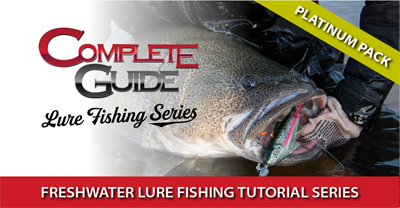 The Complete Guide Series teaches you the fundamentals, covering every aspect of freshwater lure fishing. 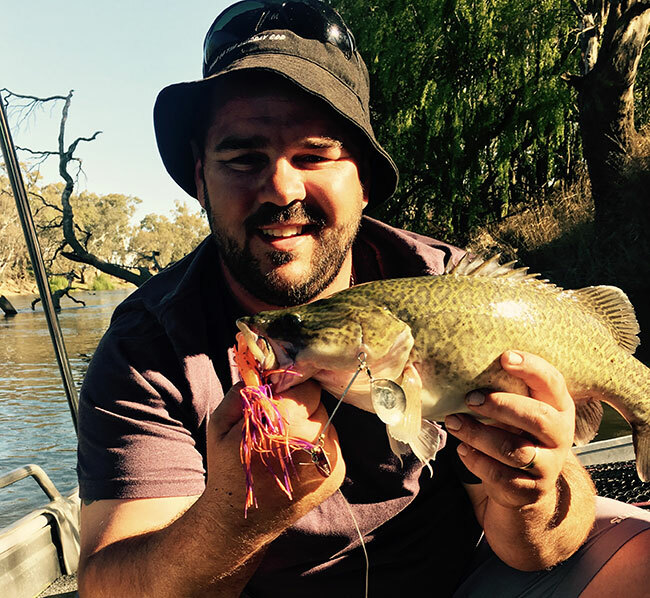 Important tips that will help you successfully catch Murray Cod, Golden Perch, Trout and even Carp on a range of different lure and fly styles. Packed full of trolling and casting techniques for all fishing styles! After watching this series you will catch more fish! That’s right… there is fishing action as well! 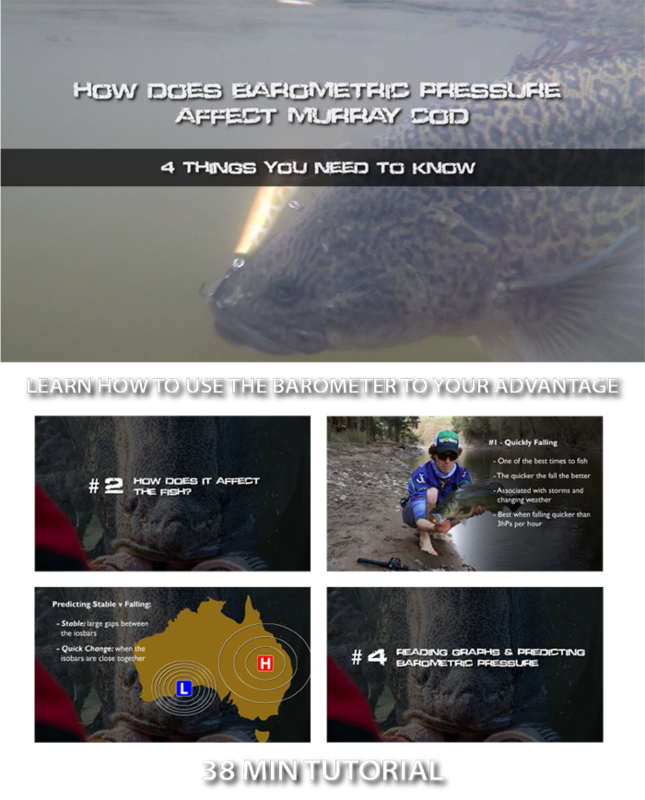 What is Barometric Pressure and how does it affect Murray Cod? 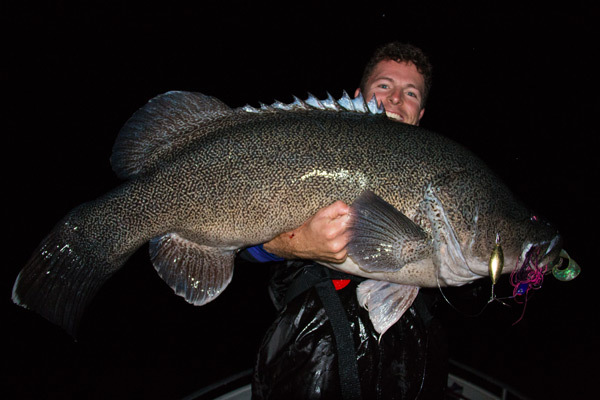 This plus many more questions are answered in this tutorial video, as I explain the behaviours of Murray Cod in relation to the Barometric Pressure. 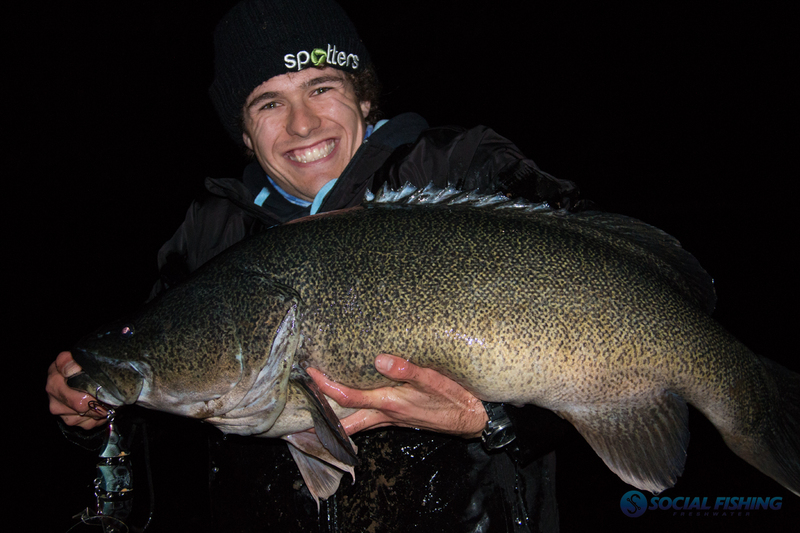 There is a lot of unknown among anglers when it comes to Barometric pressure and how it affects Murray Cod. Many anglers even wonder if it impacts their behaviour at all… and the answer to this is a big YES! The pressure can be the difference between catching multiple fish in a session and catching nothing and if you can time your fishing trips correctly – you’ll catch more fish! 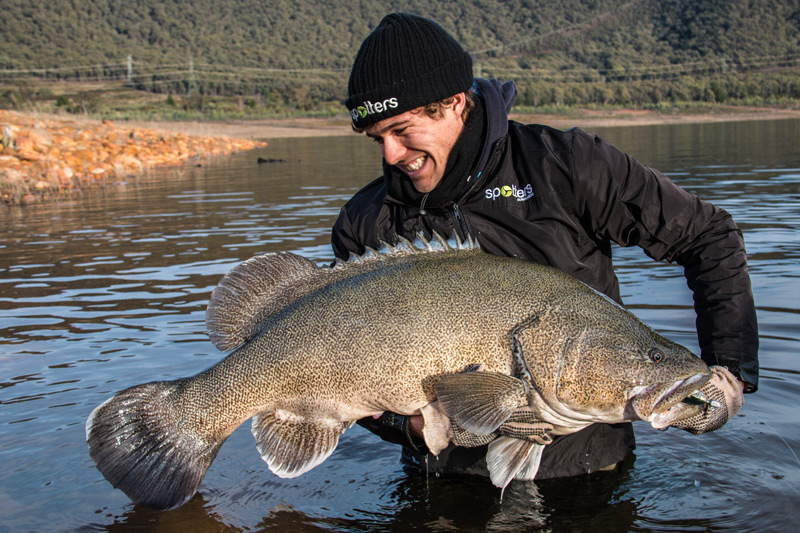 This video explains everything you’ll need to know about Barometric pressure and Murray Cod! 1. What is Barometric Pressure? 2. How does it affect the fish? Understanding each of these 4 areas is key to success! 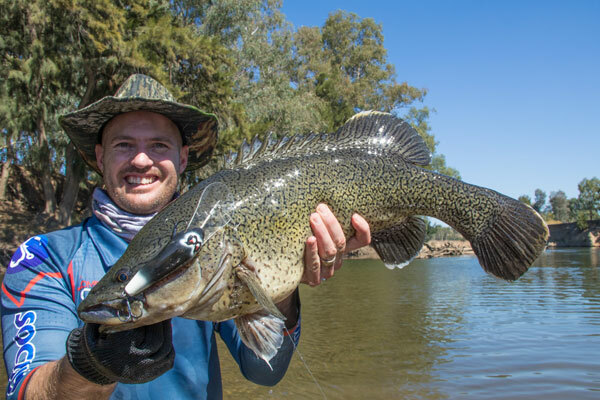 Murray Cod will behave different depending on the pressure trend and if you understand these trends, you’ll find more hungry fish, more often! 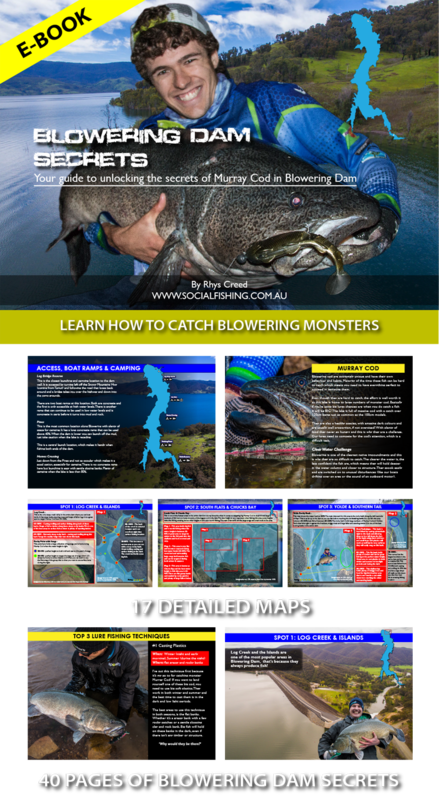 The Blowering Dam Secrets eBook is the first eBook of its kind to be available to freshwater anglers and it includes extensive information on targeting Blowering’s monster COD! Blowering Dam would be one of the best fisheries for HUGE cod but it is also one of the toughest places to fish with many anglers ending their trip empty handed. 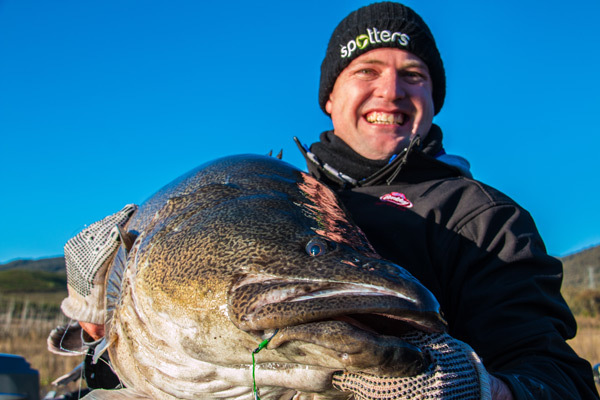 Have you ever fished Blowering Dam for big cod with no success? You’re not alone. 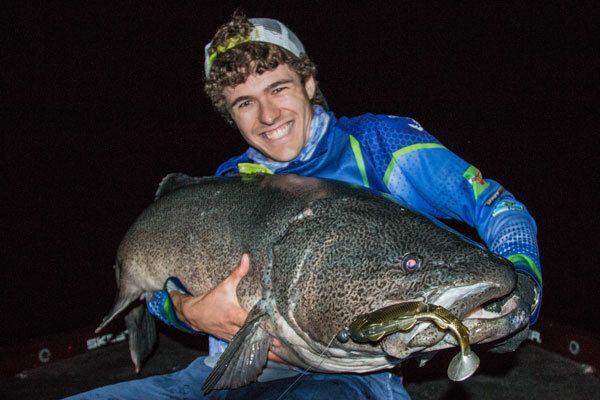 Even though these big fish are here, they can be extremely tough to catch… but not anymore! This 40 page e-Book will lead you to metre cod success. The content included in this book has been collected from hundreds of trips over the past decade. With this eBook you no longer have to waste your time searching for the best bank, trying different lure types and techniques – the answers are all in this eBook! You’ll receive the entire Complete Guide – Native Pack set on DVD! These 4 DVD’s will be posted to your address for you to sit back and watch on the TV in your own home. Buy the Complete Guide Series Now! Just wanted to say to Rhys and the team at Social Fishing, what a fantastic job you have done on the Complete Guide Series. Can’t help but think I’m watching prime time TV. Great job on the quality of production that is jam packed full of tips and info. Have helped me go from pot luck fishing to now seeing consistent catches. I’ve fished Blowering Dam since I was a young bloke and have never managed to crack a metre Murray Cod. 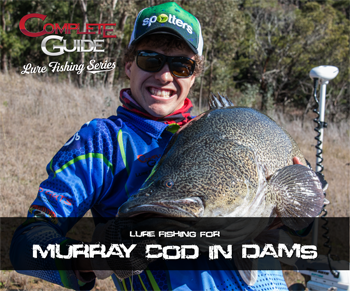 I decided to purchase and watch the Complete Guide Lure Fishing Series and headed up to the dam for cod opening. 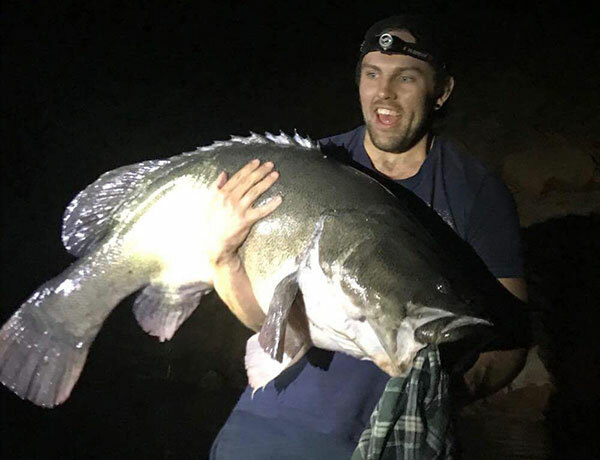 I managed to land my PB Murray Cod at 117cm using the trolling techniques from the series. Great tutorial videos by the Social Fishing team! 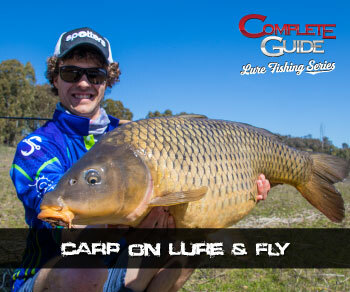 The ‘Complete Guide – Lure Fishing Series’ is packed with excellent educational fishing tips, advice and is very affordable. I highly recommend this series for all anglers from beginners right through to the experienced. It has taught me so much about freshwater fishing, I highly recommend it. Boys I reckon you’re off to a great start! I wish I had these types of videos and information when I was younger. I really enjoyed the videos so far and to be honest I don’t think I’d change anything about them. I love the in depth explanations on all the lures and techniques. 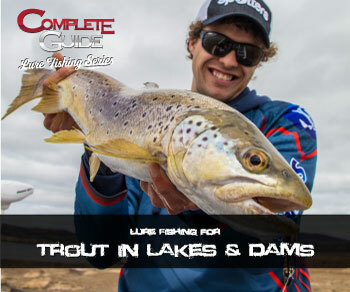 Targeting Trout in lakes and dams is a very popular style of fishing and this series teaches you everything you need to know. 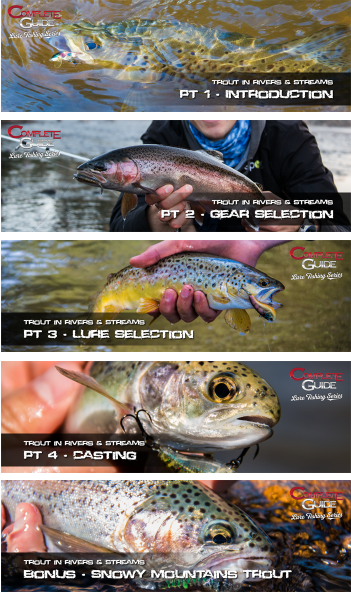 From trolling and casting setups, to lure selection, trolling techniques and where to cast, plus plenty of Snowy Mountains Trout action! Fly fishing doesn’t have to be hard! It’s actually very easy and such a satisfying form of fishing. That’s whys we created this series, to help you get into fly fishing for Trout – the easy way! We cover both rivers and creeks, wet and dry techniques, and there is plenty of action along the way! Start Watching Complete Guide Series! 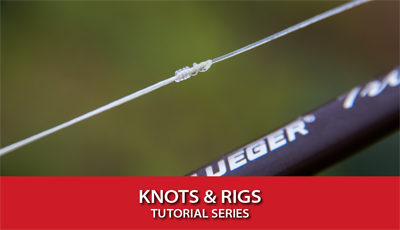 Learn how to tie all the knots you’ll ever need to know for freshwater fishing. From leaders knots all the way down to the knots that joins your leader to lure! Fishing doesn’t just involve the gear, lures and tackle, there are other things you’ll need to learn along the way, like; how to wire an electric motor to a battery, how to roll start a car, how to rig a stinger hook on a spinnerbait and even how to look after your boats bearings. Best of all, you get to keep them forever to access on your Social Fishing Account whenever you want. Still not 100% convinced? No worries... because if you aren't catching more fish within 60 days, you get a full refund. If you put in the hard work and watch the entire Complete Guide Series you will become a better angler! I can confidently say that this series will provide you with the techniques and tools that you'll need to catch more freshwater fish. Your personal information is 100% secure. It's stored in an encrypted database and isn't shared with any parties. You can be confident all your details are safe. 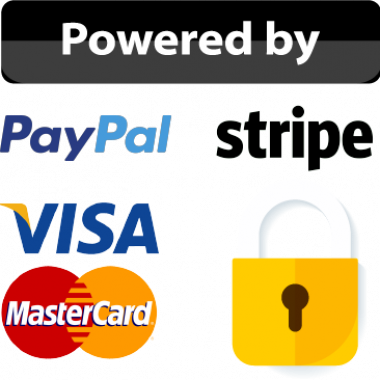 Powered by the most popular and trusted online payment options. Including PayPal and Stripe. 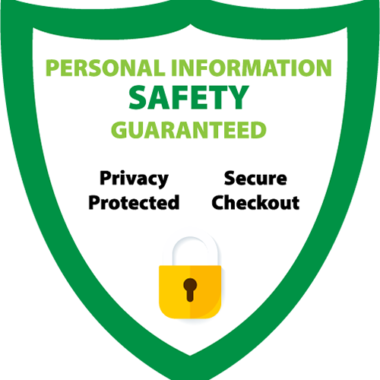 Your personal information and payment details are 100% secure and protected. What exactly will I learn in the series? 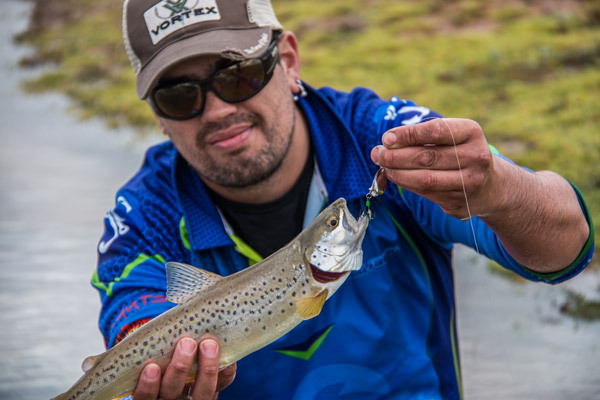 This series will teach you how to successfully catch native fish on lures. 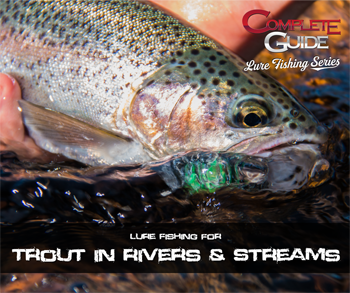 It covers proven techniques (casting and trolling), lure selection and gear selection. 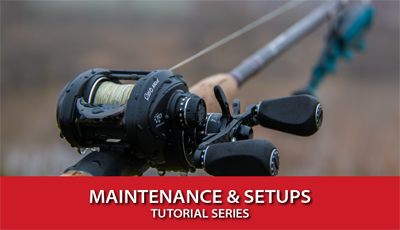 There is also diagrams and maps showing details for each technique, structure analysis and we also show you how to fish the structure correctly, best seasons, retrieve patterns and styles plus way more! 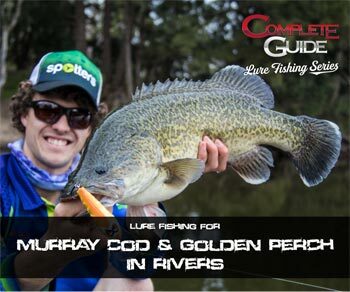 After watching this series you’ll be able to catch more Murray Cod, Golden Perch and Trout using lures! How do I receive the series? This series is online and you gain access via your Social Fishing Account. Once you purchase the series it will be available from inside your ‘My Account’ page. Browse through the series and stream the videos as many times as you like. Some individual series are available on DVD, the rest will be released throughout 2018 and are available on the Social Fishing Store. Do I get instant access once I pay? Yes… Once you pay you gain instant access to all the tutorial series. When you pay you’ll be automatically logged in to your new account, from there you can access the tutorials from your account on the website. How long do I have to watch the tutorials? Forever… the tutorials will stay in your account forever and you can come back to watch them whenever you want. How many videos do I get access to in this series? 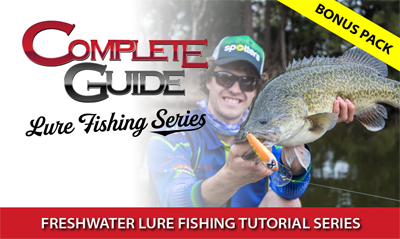 The Complete Guide Series includes 8 in-depth tutorial series that cover different styles of freshwater lure fishing. There are 46 tutorials included in these 8 series. Plus there are an extra 16 videos in the Bonus Content and another 1 in the Platinum content which totals 63 tutorial videos. What devices can I watch the tutorials on? You can watch these tutorials on also every device, the most common is; PC (computer), Laptop, Mobile Phone, iPad or Tablet. But you can also stream and watch them via the internet on your TV or through your Laptop connected to your TV with a HDMI cable. DVD Series can be watched on your TV via a DVD player. Who is the creator of this series and are they experienced? 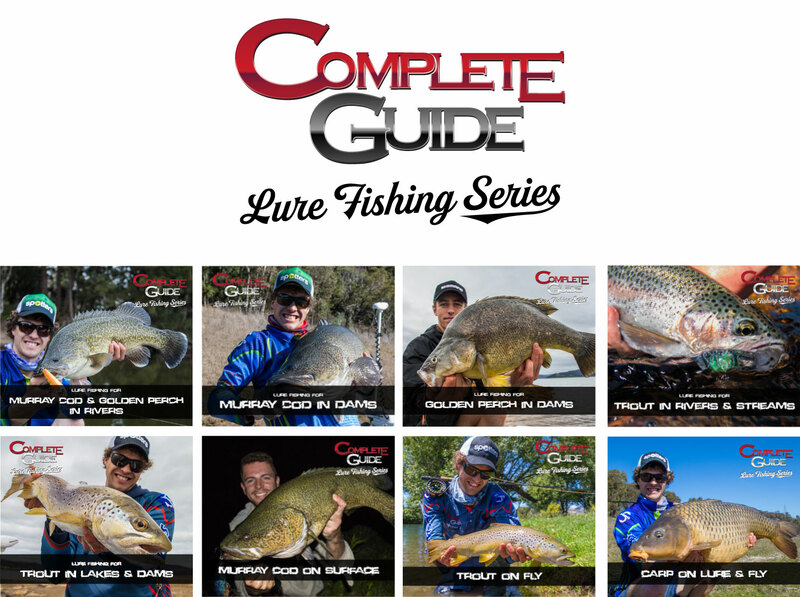 The Complete Guide Series is designed and created by Social Fishing founder Rhys Creed. He has a passion for freshwater fishing and helping other to achieve success. He grew up fishing in every spare moment he had and has never stopped. 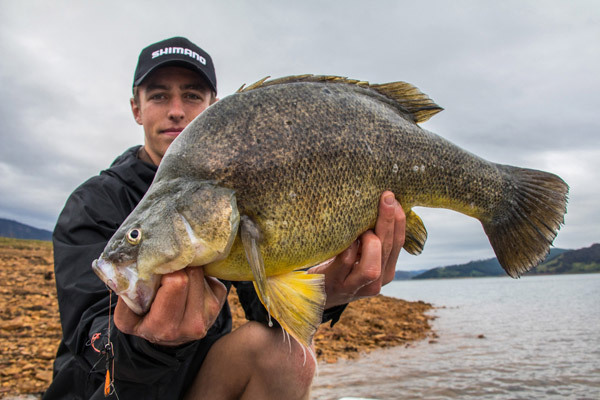 Rhys loves challenging the status quo and is always testing new techniques, fishing styles and lures to find the most successful and exciting way of catching freshwater fish. These hours of time he has spent on the water has provided Rhys with first hand experience in which he shares in this series. Rhys is joined by other Social Fishing team members and guests; Chris Cotterill, Jack Zyhalak, Tallis Cotterill, Adam Smith and James Norney in the series who also have extensive knowledge on freshwater fishing. Can I access the videos whenever and where ever I want? You can access the series wherever you want as long as you have internet connection. The tutorials require internet for you to be able to stream and watch them. How long does it take to watch all the tutorials? The tutorials run for more than 25 hours if you were to watch them back to back. But they are all sorted into parts and series that allow you to choose the exact tutorials that interest you the most. Will this series teach me how to catch metre plus Murray Cod? 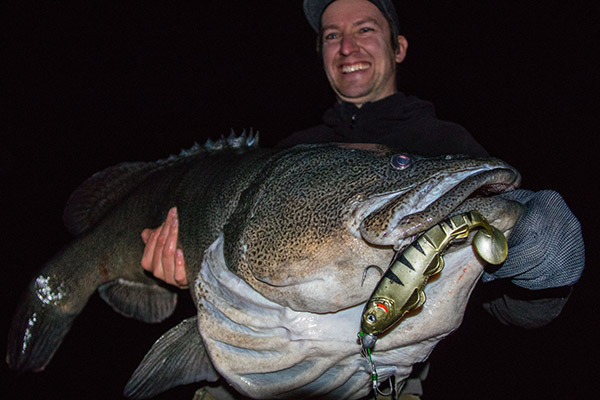 Yes it will… Metre Plus Murray Cod are the holy grail for cod anglers and we spent a lot of time in the cod series sharing tips on finding and landing these monster fish. 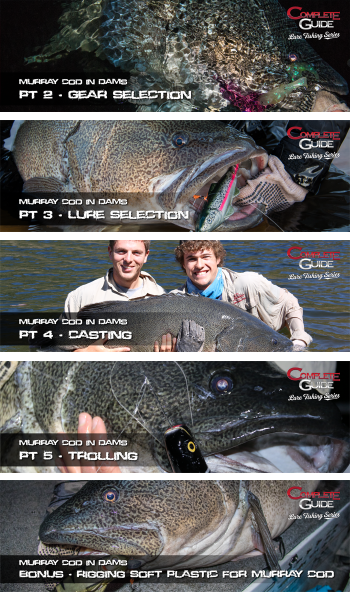 The ‘Murray Cod in Dams’ and ‘Murray Cod on Surface’ series cover a lot of techniques, lures and areas to target for those wanting to land that fish of a lifetime. What if I don't like this product or it doesn't get the results I wanted? 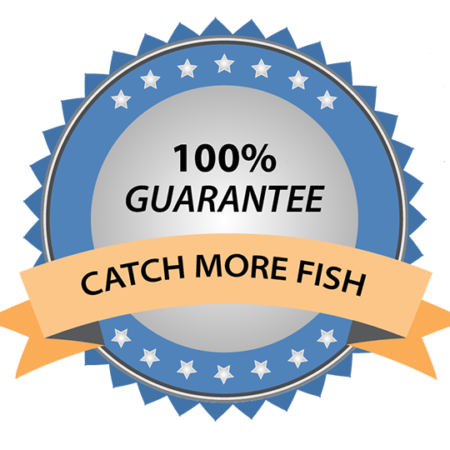 No worries at all… if you are 100% convinced it has helped you in any way or it didn’t help you to catch more fish within 60 days, we will give you a full refund. 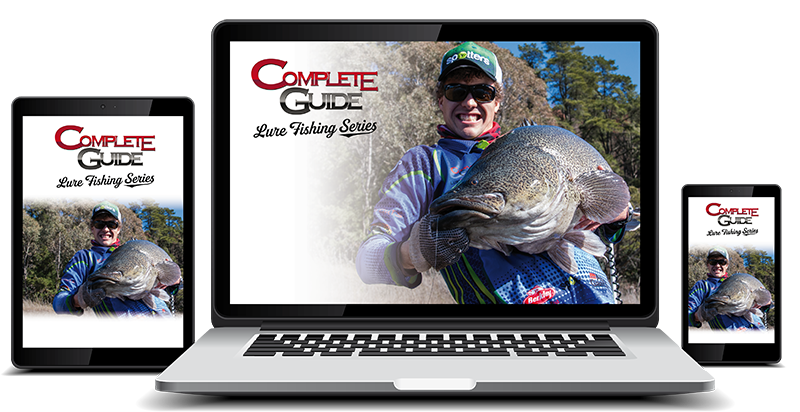 If you put in the hard work and watch the entire Complete Guide Series you will become a better angler! I can confidently say that this series will provide you with the techniques and tools that you’ll need to catch more freshwater fish. I'm an avid angler so is this series still for me? Yes… This series is for everyone! Whether your a Beginner, and Avid Angler or an Expert, this series will have something for you. The series is easy to follow for someone who is new to freshwater lure fishing and starts at the basics. But it also steps up into in depth techniques and content which even the best of anglers will benefit from. Does the series include fishing action? It sure does!!! This series also includes plenty of action and fish caught on camera! Just to show that what we are showing you actually works! This action makes the series not only educational but exciting to watch. What species will I learn how to catch? 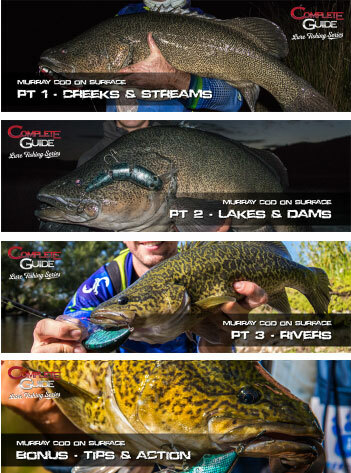 This series will teach you how to catch Murray Cod, Golden Perch, Trout and even Carp in a range of different situations, like; rivers, creeks, stream, lakes and dams. Stop spending money on wasted fuel and lures that you don’t need. 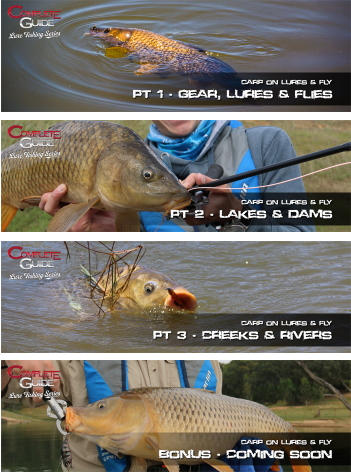 This series will teach you where to fish and what lures to use! If you only get to fish a few times a month because of other commitments – you want to be catching fish when you go! You’ll know exactly where to fish after watching this series. 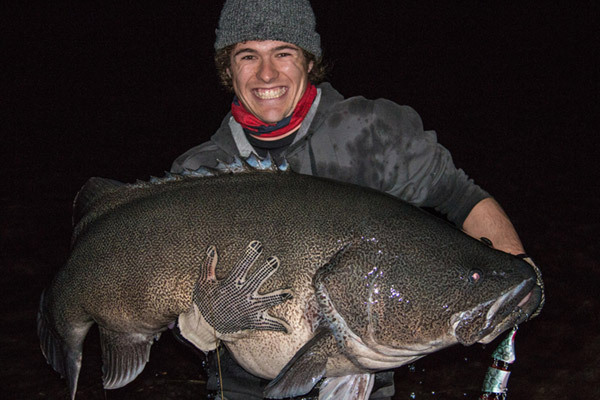 There is nothing better than catching a BIG fish and sending the photo off to your mates. You’ll be able to do this more often! Be confident with your lure choice, or the bank/structure you choose to fish. Rhys is the Social Fishing Founder and main presenter in majority of the Complete Guide Series Tutorials. He grew up casting lures for native species and has fished the freshwater all his life. Rhys has a passion for teaching others about this great sport and wants to reach out to as many keen anglers as possible. He shares his wealth of knowledge on all things freshwater in this series. Sharing secrets, techniques and years worth of knowledge in a step by step video series. 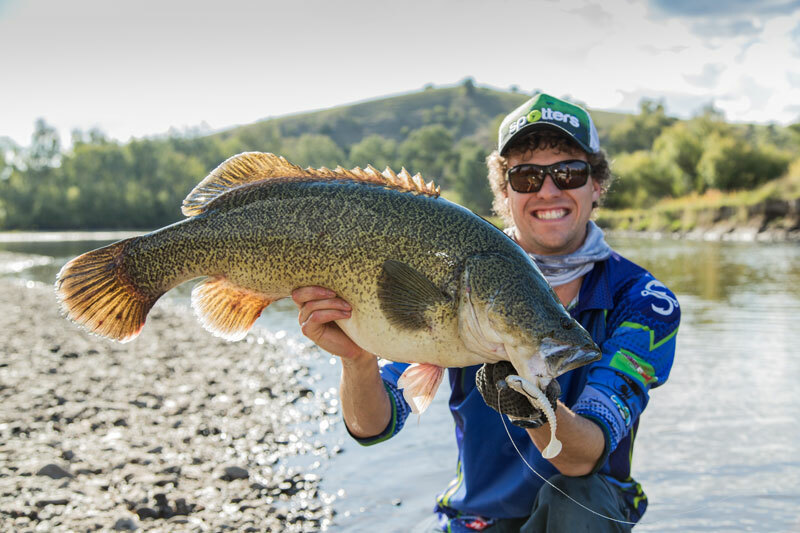 He has caught countless freshwater fish including plenty of Monster Murray Cod – all on techniques he shares in the series. As a key team member and Social Fishing Presenter, Chris passes on his passion and love for fishing throughout this series. Teaching you everything he has learnt over his 30 years of fishing and sharing plenty of excitement along the way. 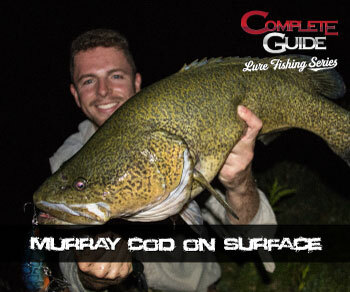 Chris presents in a number of tutorials throughout the entire Complete Guide Series including Murray Cod on Surface where him and Jack hit the water in search of small creek cod. 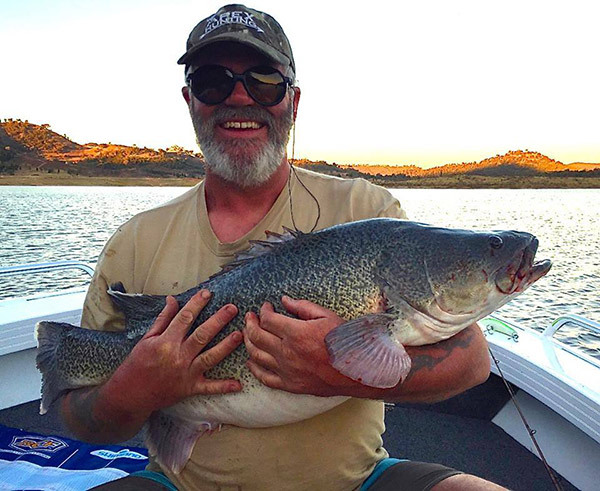 Chris shares years worth of knowledge and even manages to get onto a metre plus Murray Cod on surface from a small creek! With over 3 decades worth of freshwater fishing knowledge Chris knows how to tempt even the most intelligent of fish! Jack grew up fishing the banks of the Murrumbidgee River with Rhys when they just young kids. He learnt the art of using spinnerbaits by spending hours, days and weekends on the water from a very young age. With all the experience it’s like second nature for Jack to pick the best area on the log to target. He knows where the fish is and he knows where to cast. 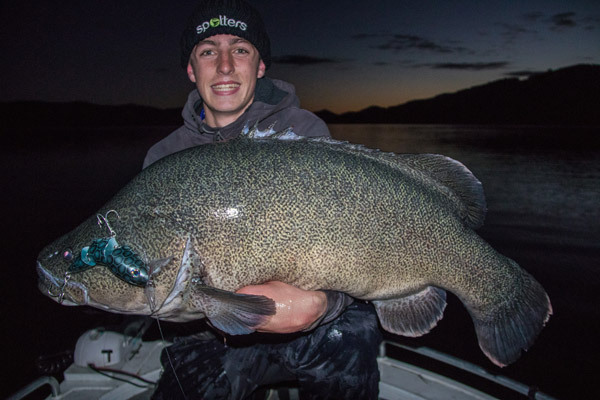 Jack presents and appears in a number of tutorials including, ‘Surface Fishing for Murray Cod’ where Jack and Chris spend the night walking a small creek and landing some brilliant fish. Adam loves his Trout fishing and spends almost every weekend exploring the Snowy Mountains Region searching for Trout in remote locations. He loves hiking up small creeks and rivers casting small lures in pristine conditions. 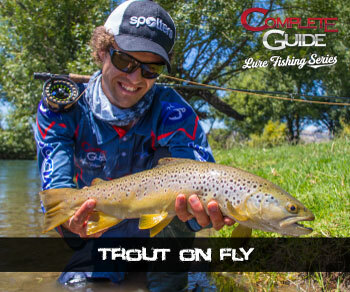 Adam joins Rhys in a few of the Trout tutorials in both the River and Dams series. He shares his wealth of knowledge on catching these great fish on a range of lure fishing techniques. Tallis is youngest team member of Social Fishing, but it doesn’t mean this kid doesn’t know how to fish! 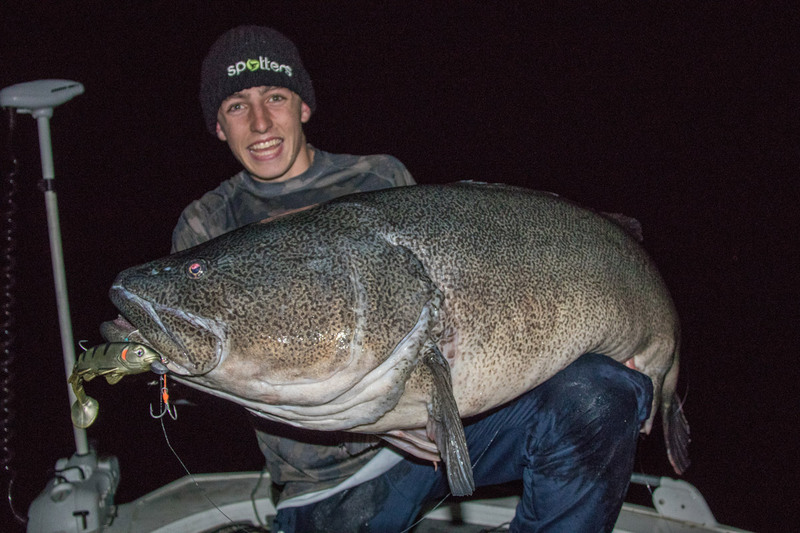 Tallis has some massive achievements to his name including countless metre Murray Cod! He is an intelligent and aware young angler who is always ensure that each cast is perfect. 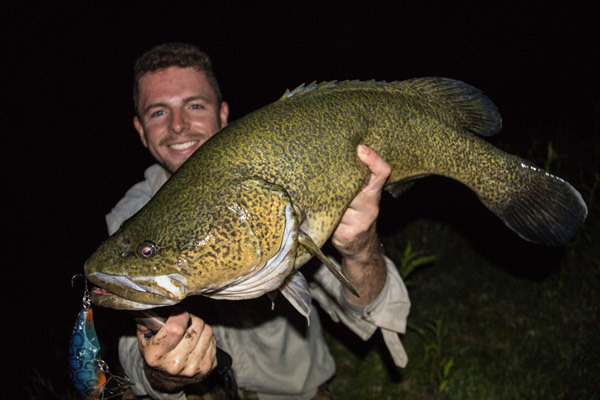 Tallis appears in the Murray Cod and Golden Perch in Rivers – Bonus Tutorial, where he and Rhys fish the Murrumbidgee River from the inflatable boat. 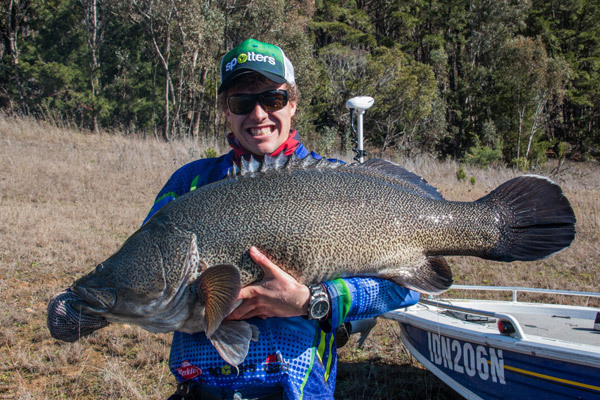 They catch heaps of natives during this great river session! A must see tutorial!